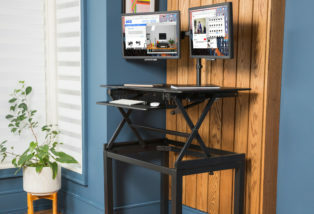 The Rocelco ADR height adjustable sit stand desk riser and standing desk converter, sits directly on top of your existing desk. 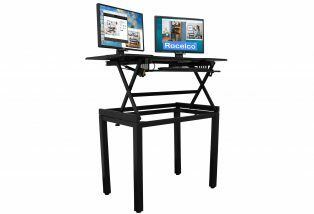 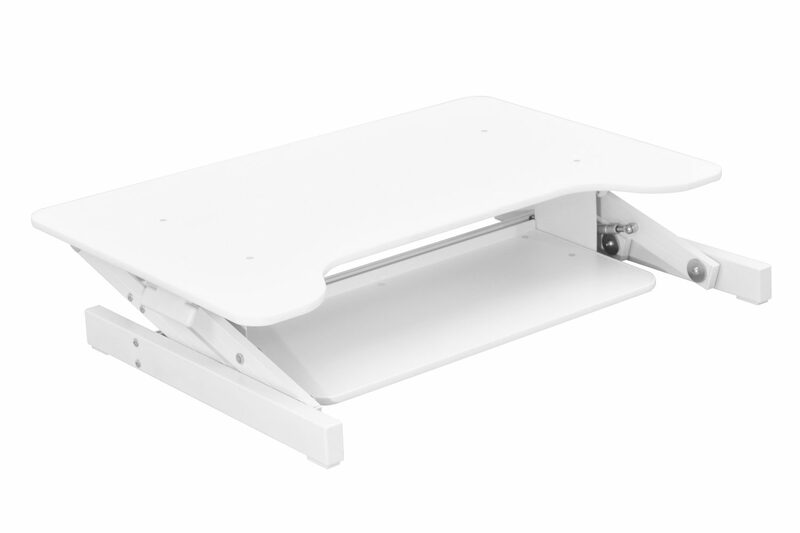 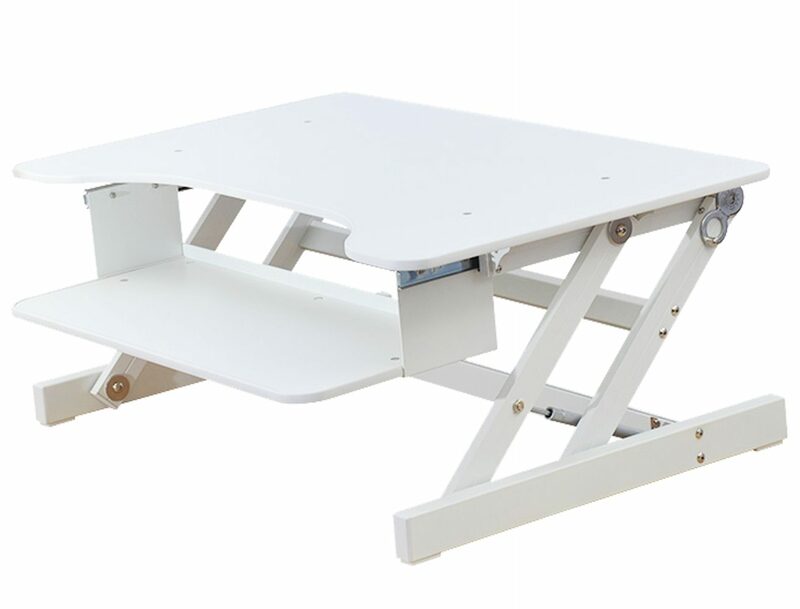 It provides an adjustable height desk that is 32″ x 20.5″. 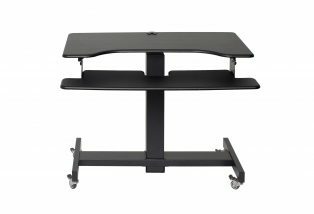 Can easily holds 2 monitors and a laptop. The gas springs hold up to 50 lbs. There are 5 adjustable heights from 6.5″ to 16.3″ provide the proper height and working angle for sitting or standing. 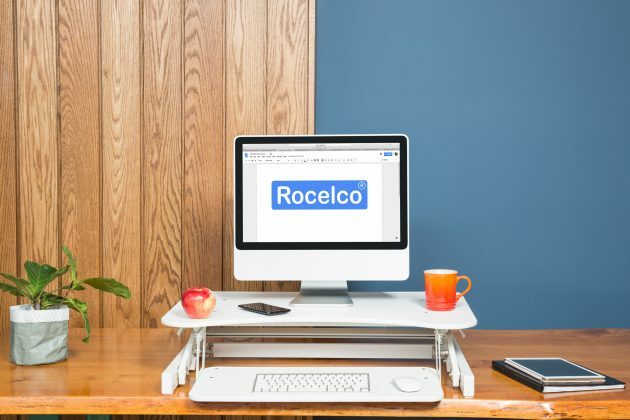 This keyboard tray is 24″ wide x 11.75″ deep, large enough to hold a keyboard or a laptop and retractable to offer the ergonomically correct position, whether sitting or standing. 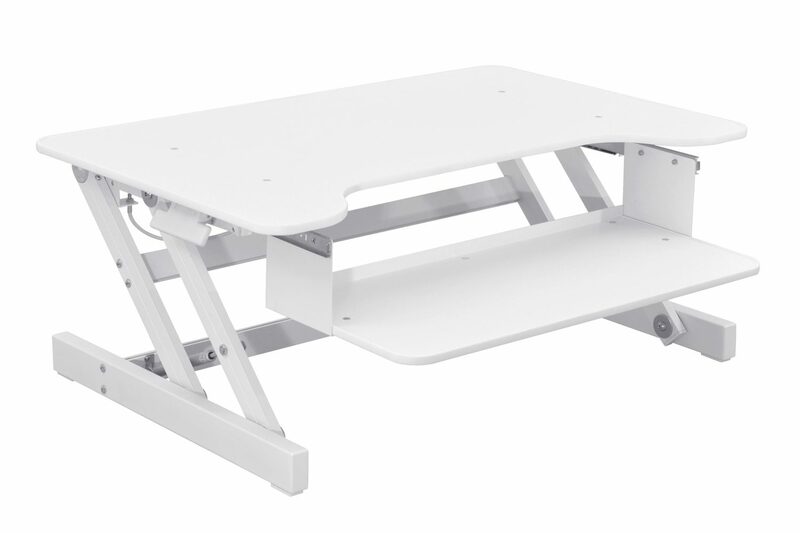 It has a desk footprint of 30″ wide x 21.5″ deep.